The AD601 li ion battery pack application: electric heated Pajamas, women's battery heated clothing, battery powered clothing, dewalt hooded heated jacket heated liner, snap on heated jackets. 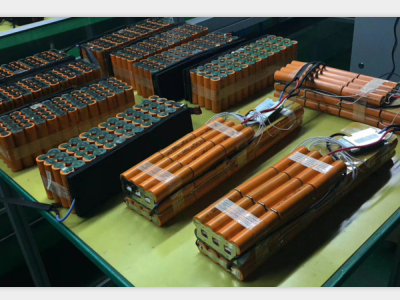 The AD601 battery is made of 6pcs 26650 li ion battery cell or 9pcs lithium ion 18650 battery cells or Lipo cells, it can be constant DC output 12V/22V or come with adjustable pulse DC output with designated output power rate. It works as an super fast recharging power bank as well with advantage of recharging itself in 2-3hours only for 30Ah equivalent power bank capacity. Function Code: CC, CP, DM. 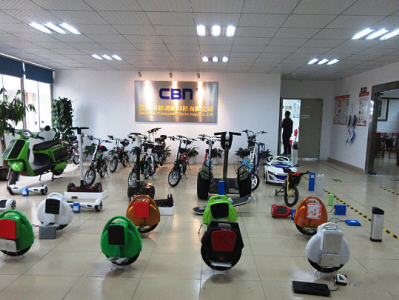 The AD601 battery is designed for motorcycle heated clothings and DC heated blanket application with larger size and bigger capacity. It is perfect for higher power drain heated clothing like those for motorcycle riders. It is also idea back up battery for light 7v/12V heated clothing when user stay in one place not in moving and need keep warming up. 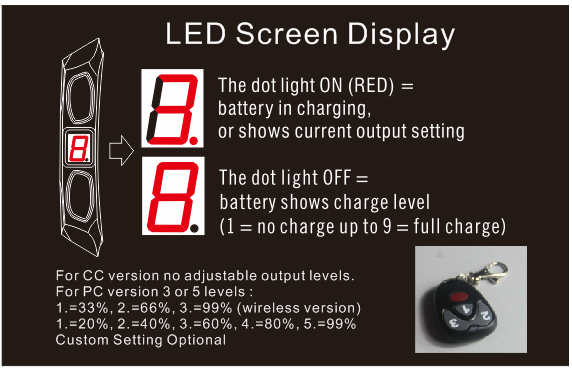 The AC601 battery LED screen can be made to reflect the battery fuel level status by display number 0~9, 0=empty, 9=full. The AD601 battery can be made to have different output mode: Constant DC type, Pulse DC type (adjustable pulse settings), or two both. 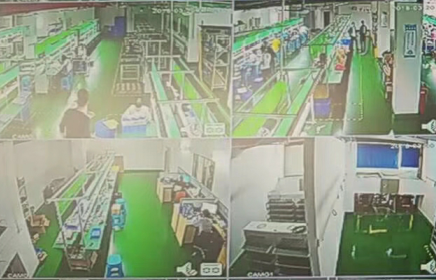 Asarke Heated Clothing Battery is using Pulse-Width Modulation(PWM) or Pulse-Duration Modulation (PDM) technology which able to control/adjust the output power rate thus achieve desirable heat level in heater. Pulsed DC (PDC) or pulsating direct current is a periodic current which changes in value but never changes direction, pulsating direct current is used on PWM controllers. 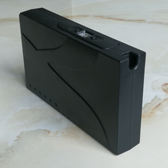 The AD601 battery also could works as an POWER BANK, PORTABLE CHARGER for all USB gears, smart phones and iphones. 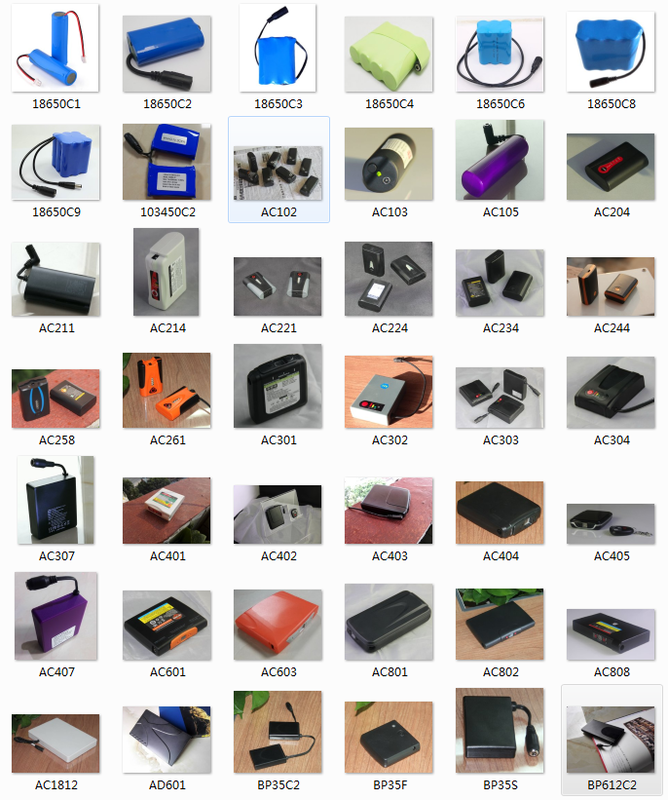 With a 12.6v 5A/8A AC/DC charger the AD601 battery could recharge back almost full in about single one hour time, really saves a lot chargingtime compared with market's standard power bank which need 10-20 hours. AD601 heated blanket battery pack for 12v DC powered heated blanket, portable heated blanket. This AD601 gets 12.6v*5A=63W, 3 times more then those highest speed. Wasting too much time waiting the power bank recharge back itself. 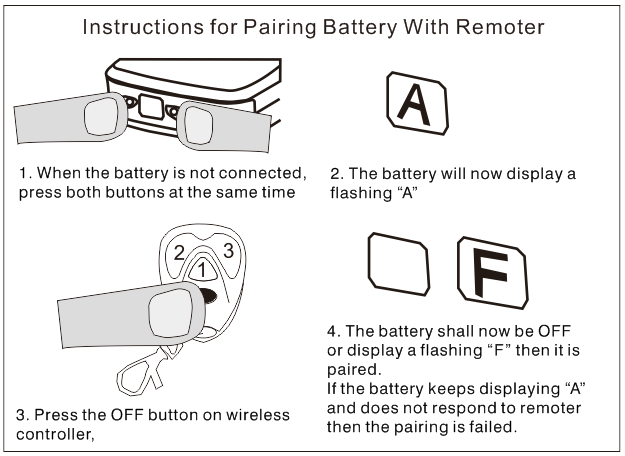 Pairing the remoter with battery. 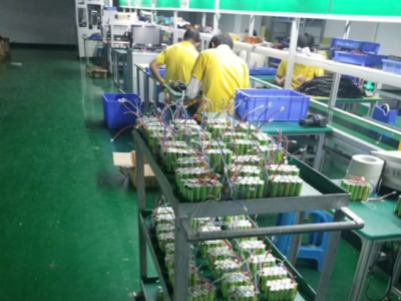 We make li ion battery packs for all heated wears in all size option, search (model number) to find more information in our site. 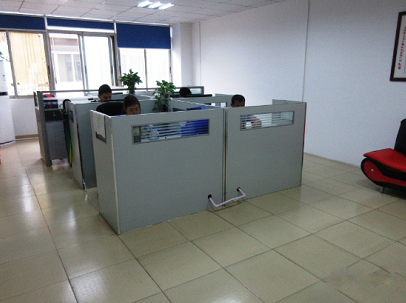 to get the adjustable output settings, customers can use battery with our external heat controller. 12V 16A two way heat controller L16W2. 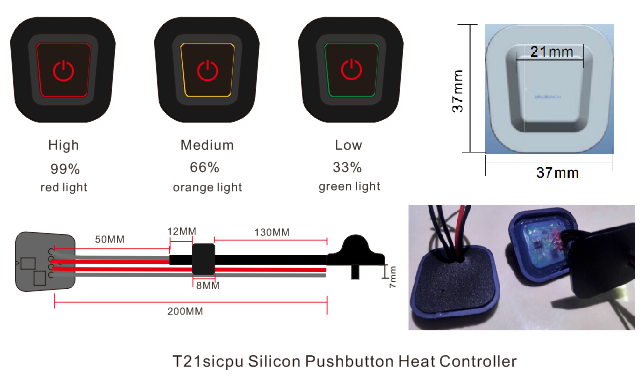 12V 16A single way heat controller L8W1, idea for heated jacket, motorcycle heated clothing, portable heated blanket. 12v 5A two way heat controller L8W2, good for motorcycle heated gloves. 12V 16A two way heat controller L16W2. Idea for motorcycle heated clothings, heated pants, heated jacket, heated sleepers. 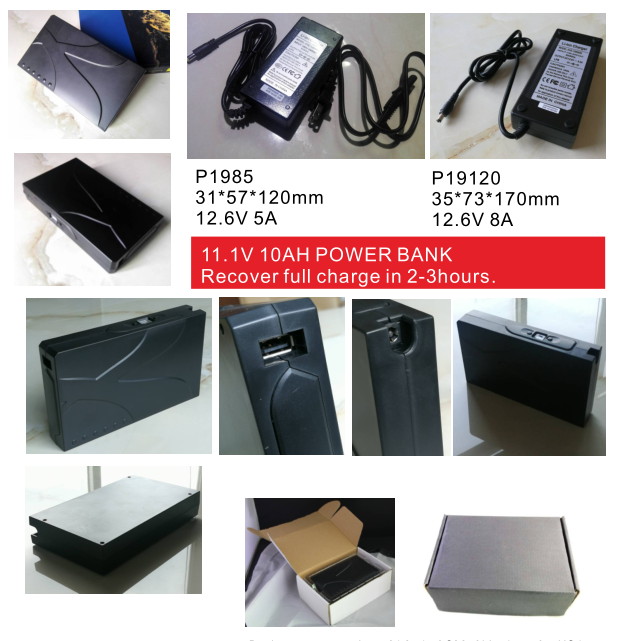 AD601 11V 10AH super power bank battery for heated clothing, heated jacket, heated blanket, heated vest, heated coat and other heated wears.